Shown below is a regular hexagon. How could it be cut into two pieces which, when put together, make a parallelogram? How could it be cut into three pieces which, when put together, make a rhombus? How could it be cut into four pieces which, when put together, make two equilateral triangles? 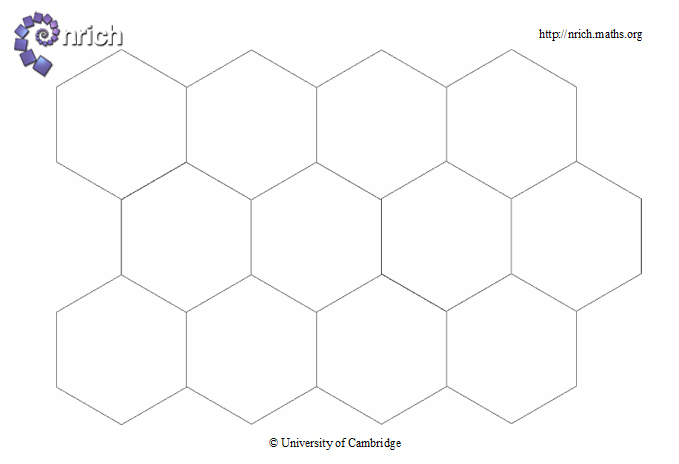 You could print and cut out hexagons from this Word document or this jpg file. Working systematically. Visualising. Tangram. Cubes & cuboids. Interactivities. Quadrilaterals. Regular polygons and circles. Generalising. Compound transformations. Practical Activity.